When I first approached Boston 2024 opposition group No Boston Olympic’s co-founder Chris Dempsey this year, I was expecting the typical NIMBY (not in my backyard) type. What I discovered was something completely different. Dempsey and his team had the appeal of the everyman but the savvy of a high-level political strategist leveraging carefully worded sound bites and pervasive social media channels to spread the No Boston Olympics platform. That meant not only could he make his point in his messages, but he could turn Boston 2024 messaging against themsleves. And that’s what he did. Boston’s campaign, including revised Bid 2.0 documents, became more of a response to No Boston Olympics and less about building a winning bid. No Boston Olympics was taking control of the conversation. 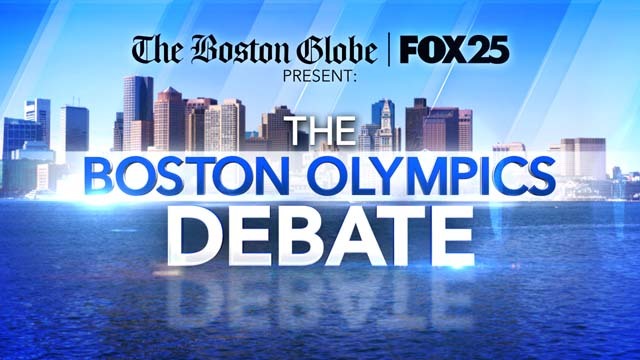 In a live televised and streamed debate with bid leadership (in itself an amazing achievement for any bid opposition) just before the campaign was canceled, there was no discussion about Olympism, sport or intangible legacies even though the Boston 2024 panel had on it bid experienced USOC board member Daniel Doctoroff. Dempsey knew to steer away from the Olympic wheelhouse and focus on the issues that the consituents feared the most. In the process he built a compelling opposition brand that helped inspire similar initiatives internationally including the NOlympia compaign against Hamburg’s bid that led to Germany’s withdrawal from the race after a referendum defeat – and earlier the start of Toronto opposition group that credited No Boston Olympics for it’s Website design and content. I explored this new opposition brand and how it could impact the Olympics overall in my blog post earlier this month that can be accessed by clicking here. An experienced and franchised opposition would become a direct opponent of the International Olympic Committee (IOC) and would be impossible to ignore, even as the organization tries to get traction on its new Agenda 2020 reforms. The emergence of this new kind of opposition force could change the game moving forward. This year, the IOC launched a consultants registry with an aim to ensure those agencies that work on the development and promotion of Olympic bids have agreed to operate under Olympic standards. It’s a way for the IOC to control the quality of the message being communicated by those working to promote the Olympic movement. Delivering the correct message is key for the IOC to regain the trust it has lost over the past few years. But a well-oiled opposition is under no such scrutiny and could pose a serious challenge to the IOC efforts internationally. But Dempsey’s impact with No Boston Olympics was clearly felt the most right at home where he was named the 2015 Bostonian Of The Year by Boston Globe Magazine along with former bid Chair John Fish.